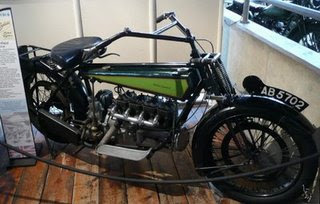 The mysterious Royal Enfield "Street Triple"
saw it in the museum in 1930, the triple had the habit of starting in reverse, something the rider only discovered when the clutch was released!Don't have enough of this stuff? 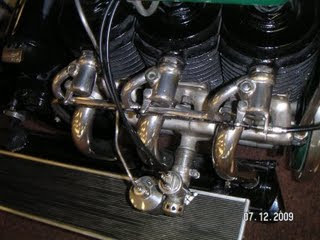 how about the four cylinder prototype from 1919, also baffling moto-journalists, this time in 1953 i don't know where is four is. 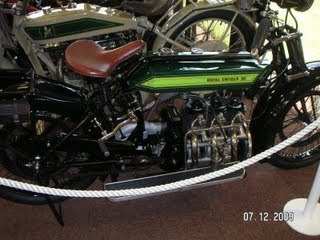 Enfield the only company in history to produce single cylinder, v-twin, parallel twin, triple and four cylinder motorcycles? Could there be other mystery Enfields out there that have been lost to history but are still in the hands of individuals? original post by jorge pulin.